The past year has seen Fujifilm release several new high-quality lenses. 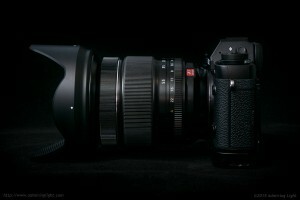 The latest is the Fuji 16-55mm f/2.8 R LM WR. While the Fuji X-Series has had a relatively fast standard zoom for a few years now, with the 18-55mm f/2.8-4, the 16-55mm fills the need for a constant f/2.8 zoom with a wider 16mm starting point. The 16-55mm f/2.8 lacks optical stabilization like its older brother, but promises to make up for that fact with exceptional optics. Fuji seems to have gone all out on the optical design of the 16-55, sacrificing a compact size in the process as well. The XF 50-140mm f/2.8 released at the end of 2014 has already proven to be a top-notch optic. Can the 16-55mm follow suit? The XF 16-55mm f/2.8 is Fuji’s top-end professional-grade standard zoom lens. It’s apparent that Fujifilm wasn’t particularly set on minimizing size with this lens, as it’s quite large in comparison to its only slightly slower brother, the 18-55mm f/2.8-4, and it lacks an optical stabilizer as well. However, despite the large size, the lens is well constructed and handles decently on a Fuji body with a substantial grip. This is a lens for the X-T1 or one of the X-E or X-Pro bodies with the additional handgrip. Fuji includes a nice petal lens hood that reverses for storage, though it does add extra width to an already rather fat lens. The lens is constructed predominantly of metal, with high-grade plastics making up the extending inner tube of the lens. The rubber-gripped zoom ring operates smoothly and evenly, with no stickiness or zoom creep. I was surprised by the relatively light damping on the zoom ring, which feels similar to that on the 18-55mm. I would have preferred a bit more resistance here. Luckily, both the focus ring and aperture ring have just the right amount of resistance. The Focus ring is well damped and smooth to operate while the aperture ring is almost identical to the one on the 50-140mm f/2.8, which is a good thing. It’s nice and firm with solid detents at each 1/3 stop, making it easy to move by difficult to accidentally change the f-stop. The lens is weather-sealed and has the same air exhaust slots on the bottom that the 18-135mm features, but thankfully doesn’t have the spongy feel to the end of the zoom range like the 18-135 did. Given that it’s the middle of winter here (and we had a particularly cold stretch during my testing of the lens), I didn’t use the lens in rain, though I did shoot quite a bit in moderate snowfall, and the lens performed admirably. I’m still not a fan of the ‘surrounding’ rubber gasket at the lens mount, and would prefer one that gets sandwiched against the mount plate. Still, the lens didn’t allow any moisture into the lens body or camera during my shooting, even after thawing with snow on it. Overall construction of the lens is fairly solid, though it falls a bit short of the very best built lenses for other systems, and even against the 50-140mm. There is a very small amount of wobble and flex to the extending lens tube that isn’t present on other lenses I’ve recently reviewed (the Samsung 16-50mm and the Sony 16-35mm). The lens does extend about an inch and a half at the long end, as seen below. The 16-55mm features a linear motor that is quite fast and essentially silent. In good light, focus locks on nearly instantly, and while it slows down slightly in dimmer light, the lens maintains acceptable speed. I had excellent focus accuracy with the XF 16-55, in both good and poor light. This paragraph is where I would normally review the optical stabilizer in a lens, which the 16-55mm controversially lacks. While many pro-grade DSLR standard zooms lack stabilizers, for systems that rely on optical stabilization, the lack of one in this day and age is somewhat unusual. Fuji claims they removed the OIS system from the 16-55mm to allow for better image quality while still keeping the size manageable. This may be true, but I wonder about the size differences. The lens is considerably larger than the 18-55mm f/2.8-4. That lens is the same speed at the wide end and one stop slower at the long end, but has an OIS unit. It’s also half the weight and significantly smaller in both length and width. I do wish that Fuji had included OIS in the 16-55mm, but to be honest, the situations where I wished for a stabilizer weren’t all that common. Now let’s see if the lens lives up to the hype with regards to image quality. 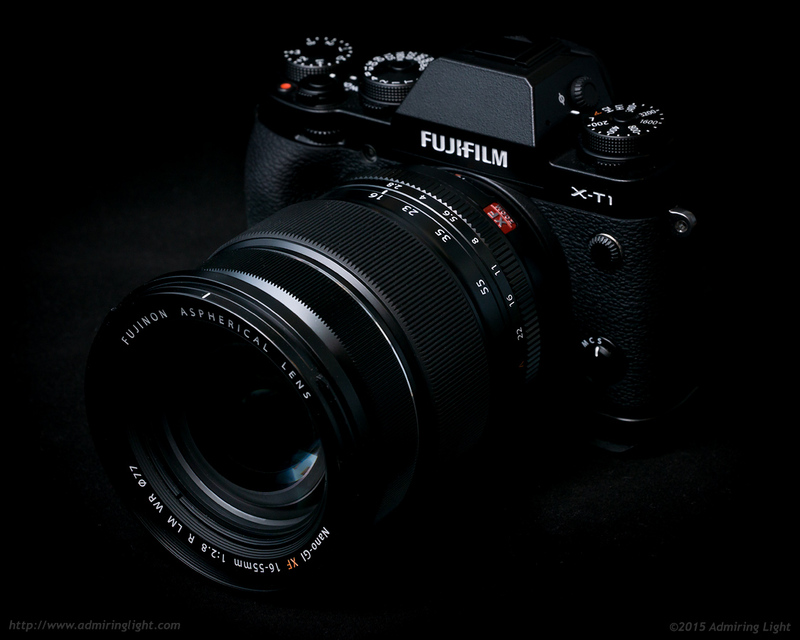 Pingback: Fujifilm XF16-55mm F2.8 R LM WR – Review | ??? ?????? ???? 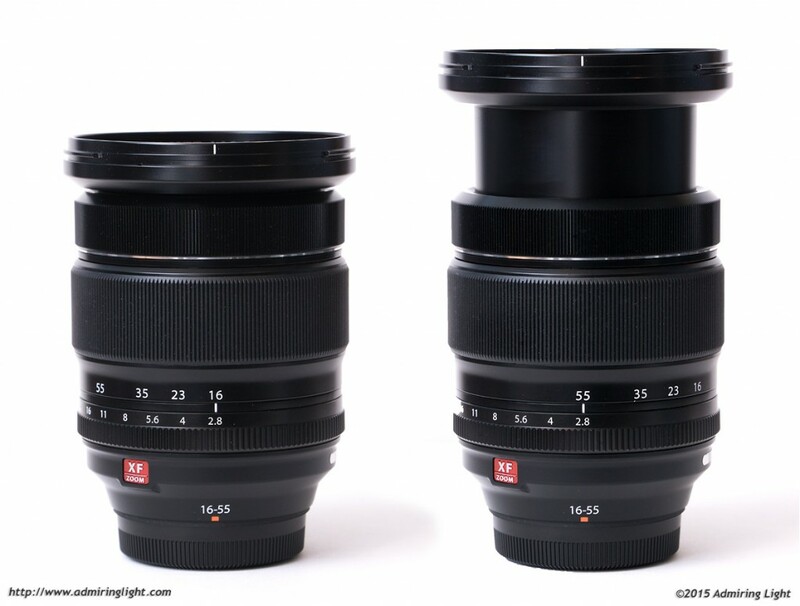 Thanks for this comparative review between the Fujinon 16-55mm f/2.8 and the 18-55mm f/2.8-4lenses. It seems to me that the 16-55mm f/2.8 would be better for me for my landscape use. I have both the 18-55mm f/2.8-4 and the 23mm f/1.4 for landscape use with a Fujifilm X-T1. Can you comment on the differences between the 23mm f/1.4 and the 16-55mm f/2.8 for landscape work ? Have you completed the comparison of the 16-55mm f/2.8 and 18-55mm f/2.8-4 when focussing at longer focussing distances yet ? Thank you for the nice review. I have spent a week thinking about getting used XF14, 23, 56, or a new XF 16-55. I think eventually I will get 16-55 first. It is impractical to keep swapping lens on a travel. Primes are good but to snap a shot speed is more important under many scenario. How many bodies I could carry with me would eventually be the limiting factor. Thanks for the view Jordan. I’m wondering about the occasional edge softness you report. Do you think that could be distortion correction? Lenstip (using dcraw) reports fairly high distortion for this lens, and, in my experience, correcting such (barrel) distortion can sometimes result in visible added edge softness. This would most likely manifest itself at the wide end, where the distortion is barrel. Anyway, just a thought. If you still have those raws it might be interesting to run them through CaptureOne with the distortion correction disabled, or something like RawTherapee. Almost bought this lens yesterday but at the last moment knew the sale on the 50-140 + 1.4 extender was too sweet not to invest in since I could afford it. This lens for me, due to the OIS might get the cold shoulder and Primed instead. Loving the 23 already and the 16 is back ordered . But the 14 makes me drool too in BW. Love your sample images and someday would love to see an actual comparison of your jpegs to your processed Raw, it’d be interesting. Do you have any sponsored links in case I order from Adorama where I can support your site? I’m trying to support a local camera dealer but whippin’ out an extra 1-200$ for sales tax gets old after awhile. Thanks Again for this site. The 16-55mm is an excellent lens to be sure, and I would have bought it in an instant if had been an f/4 with stabilization. But I’m not going to pay for speed I don’t need and bulk I don’t want. So I’ll stick with the 18-55mm and 16-50mm for now. Pingback: ?????? XF16-55mmF2.8 R LM WR ??????????? | ???????????? ?